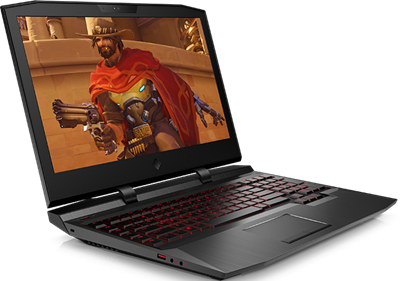 This HP OMEN 17.3" screen laptop helps you stay productive when you are away from home or the office. 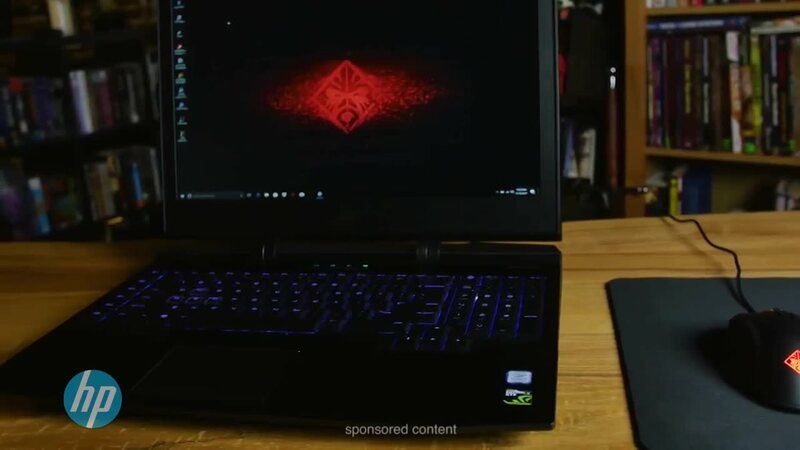 This portable computer features 16GB of memory, a 1TB HDD and 256GB SSD and Windows 10 Home operating system to help keep all of your apps and programs easily accessible. Built-in wireless technology means you can access the Internet on the go. 17.3" screen offers full-HD picture quality and prevents glare. Powered by an Intel Core 7th Gen i7-7700HQ processor. 17.3" screen offers full-HD picture quality and prevents glare. Features LED-backlighting for a thinner and more energy-efficient design. 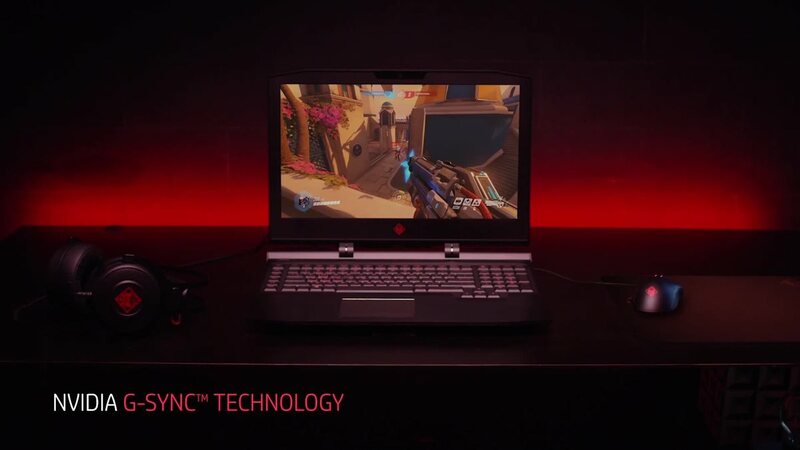 Powered by an Intel Core 7th Gen i7-7700HQ processor. Get the speed you need. 1TB (1000GB) hard drive stores your songs, movies and games. 256GB solid state drive for more storage space. A solid state drive is more shock and damage resistant, quieter and lighter than a hard disk drive. Features Wireless-AC (802.11b/g/n/ac) technology for cable-free connections. Gigabit Ethernet connection offers fast wired connectivity. Digital media card reader lets you transfer your digital photos, music and other files from memory cards. Features 3 USB 3.1 ports to allow speedy data sharing. Front-facing wide vision webcam enables video chatting. Bang & Olufsen sound system with dual speakers to play your tunes. Use the HDMI™ port to view videos and photos on your HDTV (HDMI cable is sold separately). Features 2 Thunderbolt™ 3 ports for versatile connections. Full-size, backlit keyboard with a numeric keypad and a Touchpad that supports multi-touch gestures. Stays powered for up to 5 hours and 30 minutes. Battery life will vary depending on the product configuration, product model, applications loaded on the product, power management setting of the product, and the product features used by the customer. As with all batteries, the maximum capacity of this battery will decrease with time and usage. See-through single-panel access to the HDD, SSDs, and RAM.